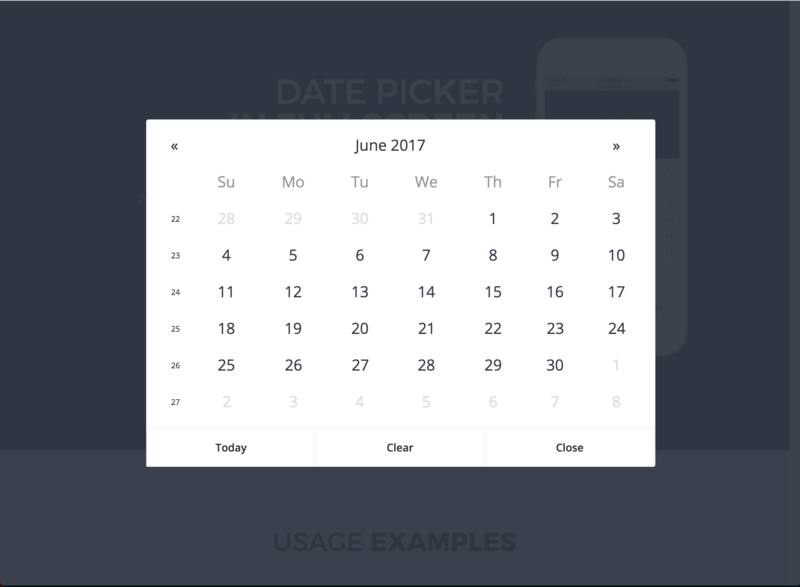 jQuery date input picker plugin that provides a quick and easy way to manage dates for input text fields in fullscreen. Perfect for touch/mobile devices. 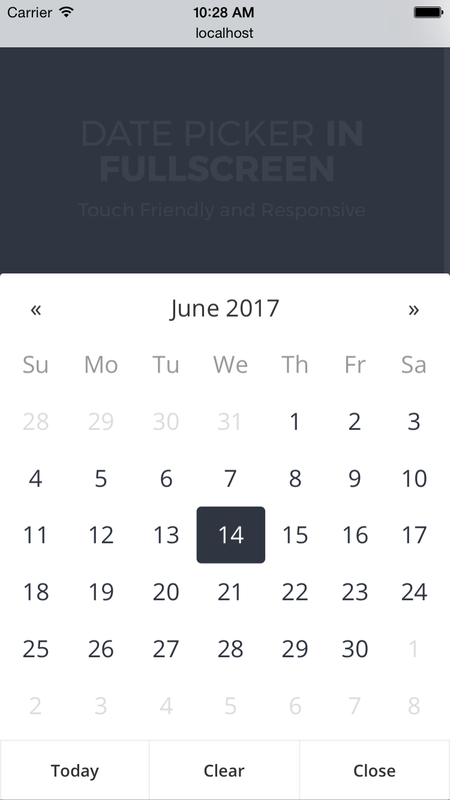 Its fully responsive and touch friendly.